Color photograph. From the reverse: "For centuries the most popular sport in the world, soccer is now one of the fastest growing sports in the United States. The Red Fox Booters exemplify the spirit & hustle of intercollegiate competition at Marist College." 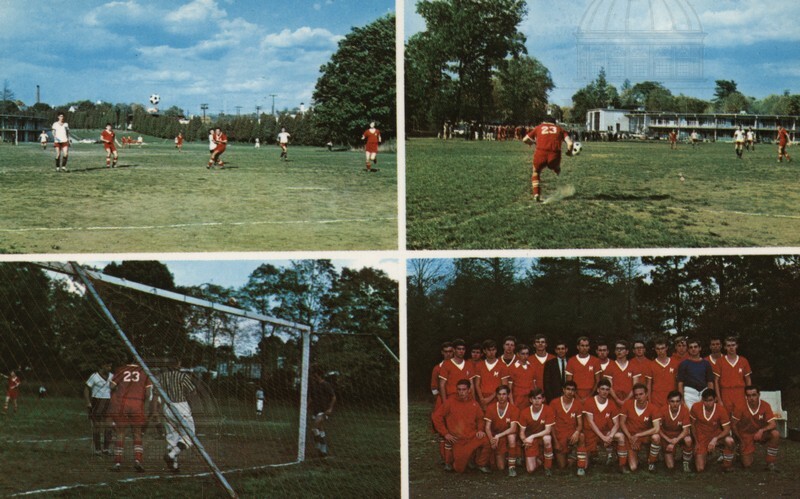 “Red Fox Booters Soccer Club, Marist College,” Main & Market: Sights and Sounds of the Queen City and Beyond, accessed April 23, 2019, http://mainandmarket.poklib.org/items/show/5204.